Ursula K. Le Guin is beloved as a spinner of tales set in alternate worlds. In her classic Earthsea fantasy series and science fiction novels, she casts a calm, anthropological eye over terrain only partly recognizable as belonging to our past or future. What makes her novels so convincing, though, is not just their carefully evoked, half-familiar landscapes, but the distinctively flawed, complex people who travel through them. These same virtues infuse her compelling new novel, which leaves the fantasy genre behind for what has become a mini-genre of its own: the novel of autobiography by a figure in Greek or Roman epic. Here, Le Guin turns her imaginative powers to the life of the eponymous Lavinia, who plays a small but pivotal role in "The Aeneid." Glimpsed only briefly in Virgil's epic, Lavinia is the silent Italian maiden promised by her father, King Latinus, to Aeneas, the defeated Trojan hero sent by the gods to found the Roman line. Latinus's decision to offer Lavinia to Aeneas, guided by prophecy, provokes her suitor, Turnus, and soon the region is plunged into the war that fills the second half of "The Aeneid." Lavinia appears only a handful of times to weep, blush, and cast down her eyes. Her greatest moment comes when her hair briefly catches fire - a sign that she is destined for glory but will bring her people war. In Le Guin's novel, Lavinia seizes the chance to tell her own story. Even as a teenager, she is no wilting flower but a fierce young woman who opposes her betrothal to the predatory Turnus. Aeneas, meanwhile, she accepts with mystical confidence, even as she comments that she is being "exchanged like a cup or a piece of clothing." But "things were going as they should go," she tells us, "and in going with them I was free." This stew of feminism and pop-Buddhist philosophy seems misplaced in a 12th-century BC lass, and other such anachronistic moments occasionally jar us out of the story. ("That boy with the red cap is gorgeous," Lavinia's best friend whispers as they spy on the Trojans, as if scoping out guys at the mall.) And one device troubles the book's early pages: At a sacred place in the forest, Lavinia encounters the spirit of Virgil - "My poet," as she calls him. Poor Virgil is charged with much foretelling of Lavinia's future, as well as guilt about having gotten her wrong. It's a clumsy way of giving Lavinia information, and more metafiction than necessary. For, this awkward conceit aside, Lavinia moves with a vitality that requires no explanation. We learn of her tomboyish childhood, running wild with Silvia the cowherd's daughter, journeying to the salt flats to prepare salt for her family, performing sacrifices with her father. We see her love for Aeneas blossoming in the years after the war. Finally, we see Lavinia the fearless widow, spiriting her son Silvius into the forest to protect him from his older half brother, Ascanius. She is a fundamentally believable heroine, inhabiting a world drawn with the same tender detail Le Guin has devoted to Earthsea. Indeed, Virgil's Mediterranean is not so far removed from that archipelago of ethnic groups bound together by ocean. As the book progresses through powerful scenes of war and Lavinia comes into full maturity as a woman and a queen, it becomes as spellbinding as any work of fantasy. 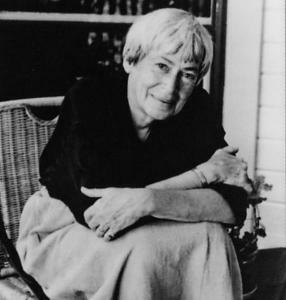 Le Guin has chosen her heroine wisely: Lavinia is a fitting match for the gifts this author has honed over some four decades as a novelist. This neglected queen may owe her place in legend to Virgil, but it is in Le Guin that she has finally found her poet.